Local government officials, local chambers of commerce, and local transportation groups are working together as part of a new advocacy organization to increase Ohio’s state fuel tax and impose a fee on alternative fueled vehicles to help generate more transportation funding. 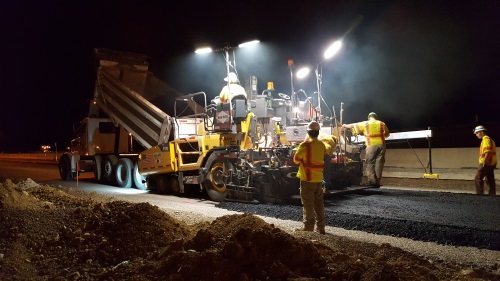 “The facts are overwhelming and disturbing,” Dean Ringle, executive director of the County Engineers Association of Ohio – one of the local government groups involved in Fix Our Roads Ohio coalition – noted in a statement on Jan. 15. The coalition is circulating an eight-page case study – entitled A Moment of Truth: Ohio’s Transportation Funding Problem and How to Solve It – that calls for both raising Ohio’s state fuel tax above its current 28-cent-per-gallon level to match that of neighboring states (ranging from 35.7 cents to 58.7 cents per gallon) and indexing the tax to inflation. The plan also recommends levying a fee on owners of alternatively fueled vehicles that don’t use gasoline or diesel to help pay for road maintenance and construction, plus restoring general fund support for public transit services to the fiscal year 2000 level of $44 million per year. Fix Our Roads Ohio said such initiatives could help beef up funding available to the Ohio Department of Transportation data, which is scheduled to spend $1.7 billion on its capital program in fiscal year 2020, down 29 percent from the $2.4 billion in fiscal year 2014; a decrease due in large part to the expiration of Ohio’s Turnpike Bond program on June 30 this year. The funding shortfall is not limited to the state-maintained transportation system, the group added; noting that the County Engineers Association of Ohio has reported that only 40 percent of the funds needed to bring aging roads to current standards, replace or repair all eligible bridges, pave county roads on a 10-year cycle, and perform ongoing maintenance, are currently available. “This deficiency in funding leads to a continuing downward spiral of deteriorating roadway and bridge conditions,” noted Keary McCarthy, executive director of the Ohio Mayors Alliance, in a statement.